Citation: Lee, David, et al. MADCAT Phase 1 Training Set LDC2012T15. DVD. Philadelphia: Linguistic Data Consortium, 2012. MADCAT (Multilingual Automatic Document Classification Analysis and Translation) Phase 1 Training Set contains all training data created by the Linguistic Data Consortium (LDC) to support Phase 1 of the DARPA MADCAT Program. The material in this release consists of handwritten Arabic documents, scanned at high resolution and annotated for the physical coordinates of each line and token. Digital transcripts and English translations of each document are also provided, with the various content and annotation layers integrated in a single MADCAT XML output. The goal of the MADCAT program is to automatically convert foreign text images into English transcripts. MADCAT Phase 1 data was collected by LDC from Arabic source documents in three genres: newswire, weblog and newsgroup text. 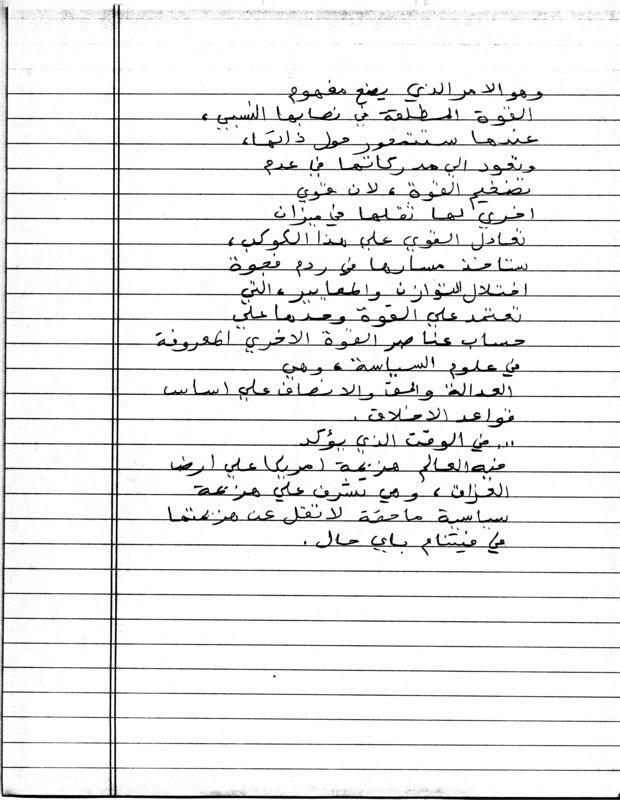 Arabic speaking scribes copied documents by hand, following specific instructions on writing style (fast, normal, careful), writing implement (pen, pencil) and paper (lined, unlined). Prior to assignment, source documents were processed to optimize their appearance for the handwriting task, which resulted in some original source documents being broken into multiple pages for handwriting. Each resulting handwritten page was assigned to up to five independent scribes, using different writing conditions. The handwritten, transcribed documents were checked for quality and completeness, then each page was scanned at a high resolution (600 dpi, greyscale) to create a digital version of the handwritten document. The scanned images were then annotated to indicate the physical coordinates of each line and token. Explicit reading order was also labeled, along with any errors produced by the scribes when copying the text. The final step was to produce a unified data format that takes multiple data streams and generates a single xml output file which contains all required information. 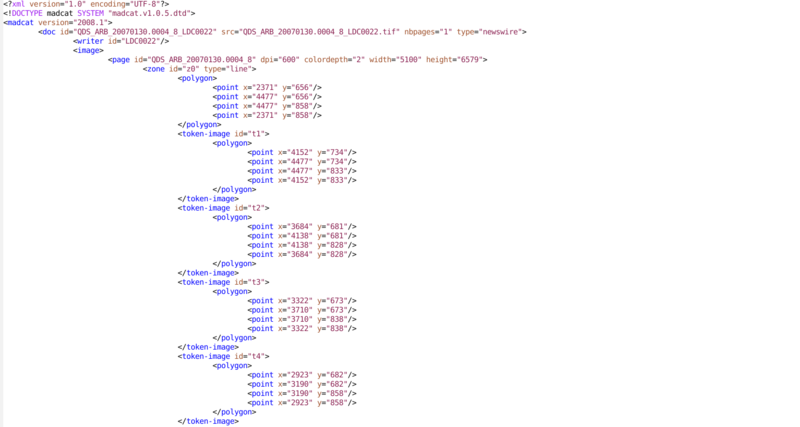 The resulting xml file has these distinct components: a text layer that consists of the source text, tokenization and sentence segmentation an image layer that consist of bounding boxes a scribe demographic layer that consists of scribe ID and partition (train/test) and a document metadata layer. This release includes 9,693 annotation files in MADCAT XML format (.madcat.xml) along with their corresponding scanned image files in TIFF format. Please follow the links for image and xml samples. This work was supported in part by the Defense Advanced Research Projects Agency, MADCAT Program Grant No. HR0011-08-1-004 and GALE Program Grant No. HR0011-06-1-0003. The content of this publication does not necessarily reflect the position or the policy of the Government, and no official endorsement should be inferred.